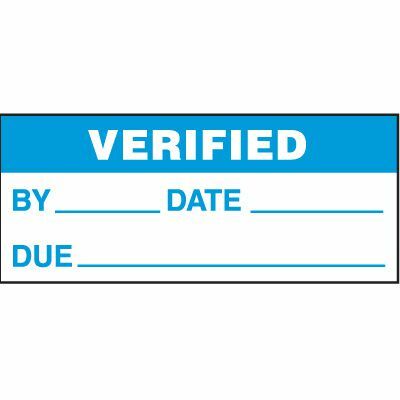 Verified status label notifies individuals that a selected item has been verified to some standard. Pressure-sensitive adhesive aggressively bonds to any curved of flat surfaces. Write-on surface accepts pen, pencil, permanent marker, typewriter or stamp ink. Choose from styles, Standard card form 5/8"h x 1-1/2"w or 1"-dia., Jumbo card 1" x 2-1/4" or roll 5/8"h x 1-1/2"w (not available for all).